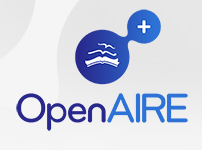 OpenAIRE has published a blog with interesting summaries and presentations of the recent COAR/SPARC conference held under the theme, "Connecting research results, bridging communities, opening scholarship". The blog can be read here. and the presentations can be accessed on this page. Co-hosted by the Scholarly Publishing and Academic Resources Coalition (SPARC) and the Confederation of Open Access Repositories (COAR) on April 14-16, 2015, the conference “Connecting research results, bridging communities, opening scholarship” , held in Porto, offered a thought-provoking programme with dynamic speakers from around the world to discuss the opportunities and challenges for libraries in a world of open science and open content, provided a valuable opportunity for participants to make connections, and learn best practices from colleagues around the world. The conference was attended by almost a hundred participants from Asia, Africa, North and South America and Europe.